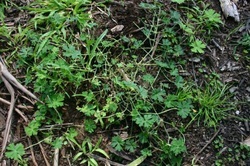 Perennial prostrate scrambling herb often rooting at nodes. Grows from a thick branched taproot. 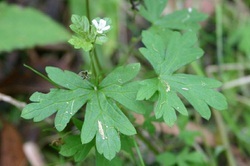 Leaves are deeply divided into 5 to7 3-pronged lobes each lobe having a central vein. 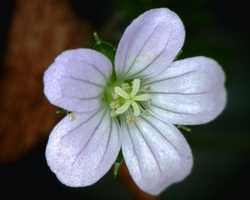 Single flowers to 15mm wide, on primary stalks to 35mm long, anthers yellow. 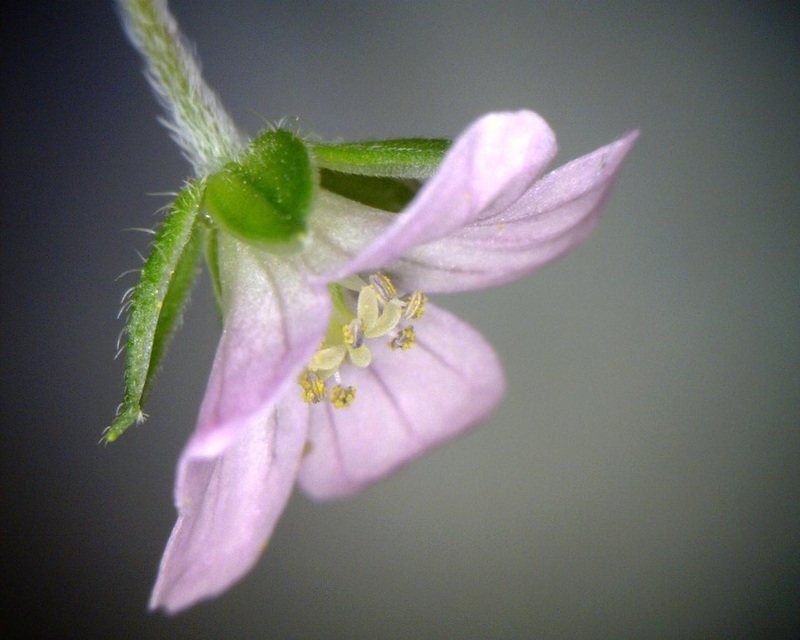 Sepals oval, downy with longer curved hairs on base & margins. Beaked fruit to 20mm long. 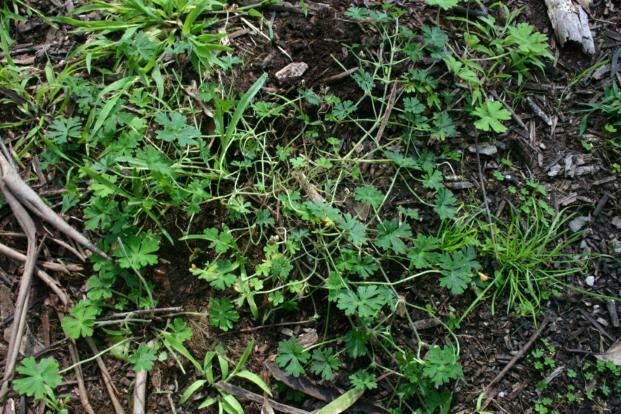 Naturally occurring plants in moist well drained soils in sheltered sites. Semi-shade to full shade. Tap root used as food source by aborigines.